The creation of new public green spaces is intended to reactivate vacant spaces, build safe community gathering places, inspire and support community-based redevelopment, and support neighborhood institutions. The Foundation’s first green space project is Proctor Park. The Foundation will undertake subsequent projects and initiatives as they become feasible, recognizing that achieving its vision will require a patient, sustained effort over many years. At the Gateway, the Foundation will fund and create amenities that will catalyze this cluster of long-abandoned buildings and create a focused area of commerce and activity. New park, trails and improved connectivity will reactivate this area around the Bankhead MARTA Station. This is consistent with public sentiment as documented in the Atlanta BeltLine Master Plan and approved by the community and City Council. Emerald Corridor Foundation’s office is located in the Gateway area, adjacent to Proctor Creek. 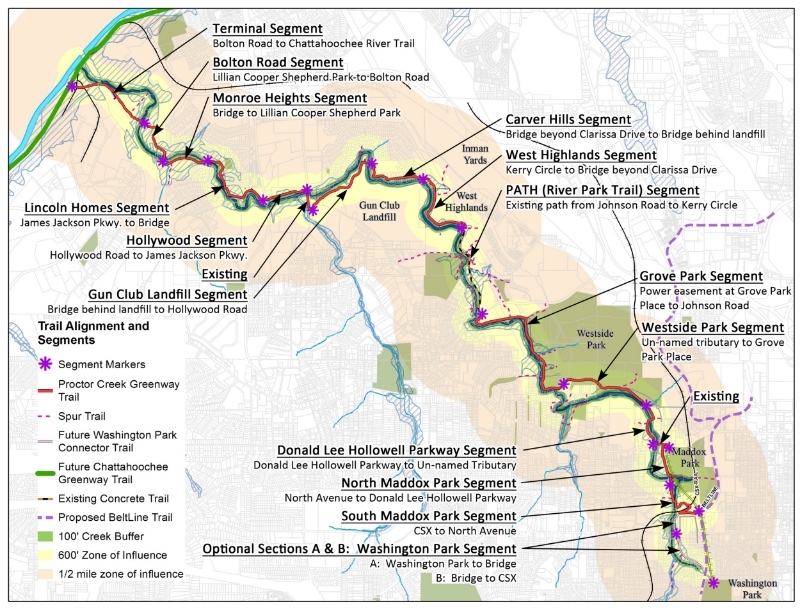 Located in the Gateway area across from the Bankhead MARTA Station, Proctor Park will deliver a quarter-mile trail and bridge over the creek that will connect the surrounding community to transit, the Atlanta BeltLine and the Proctor Creek Greenway. The Park will install healthy community fitness and recreation opportunities and attractive and safe green spaces where families and friends can gather. The Foundation is partnering with the City of Atlanta, the National Park Service, and other funders to complete the construction of Proctor Park. The first phase of design, planning and community outreach will commence in 2016. 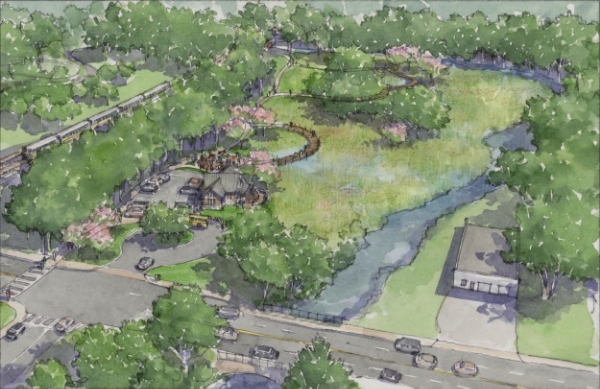 The second phase of Proctor Park's construction will include the construction of four acres of wetlands and natural systems that will be accessible via a system of boardwalks with viewing areas and interpretive signage.